Posted September 12, 2014 at 9:45 am . 0 comments. 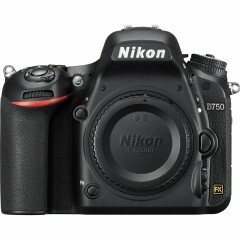 Nikon just announced the Nikon D750 at a introductory price of $2296.95. It’s a stunning full-frame camera with a 24.3MP CMOS sensor and EXPEED 4 image processor. It boasts ISO expandable up to 51200, a shooting rate of 6.5 fps, Wi-Fi, and a full 51-point AF system. © 2017 www.nikonpricewatch.com. www.nikonpricewatch.com is not affiliated with Nikon Inc. or any of its subsidiaries.